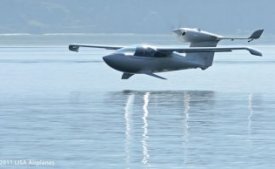 LISA Airplanes just releases commercial AKOYA Light amphibious ski plane. This airplane has been designed to be able to land not just on land and water, but also snow, thus offer you unthinkable transportation possibilities. 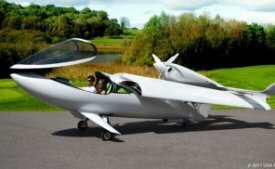 This young and ambitious French company introduces two-seater airplane that features patented Multi-Access technology and pivoting wings for easy transport and storage. Anyone who loves to travel and explore must be really excited to have this transportation has it can take off and land as easily on water or snow as on the ground. 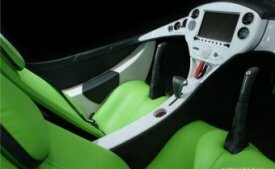 LISA Airplanes, a young and highly ambitious French company, has developed the AKOYA Light Amphibious Ski Plane, a two-seater airplane with a unique design and a wealth of features that will delight those who love to travel and explore. Featuring patented Multi-Access technology, the AKOYA can take off and land as easily on water or snow as on the ground. In addition, pivoting wings enable it to be stored or transported with ease. This technical feat is made possible by the development of Seafoils, a unique innovation in the world of aviation. 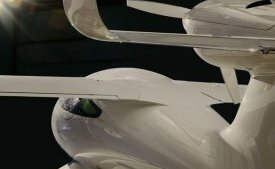 Located under the fuselage, these hydrofoils are connected to a retractable landing gear equipped with skis and pivoting wings. This abundance of new features enables the AKOYA to reach unprecedented seaplane performance levels. 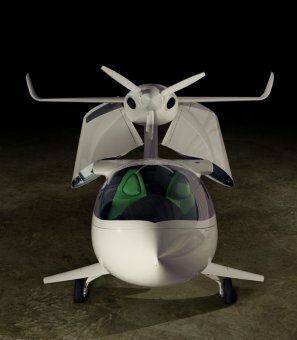 With just 70 liters (18, 5 US Gallons) of unleaded gasoline, the AKOYA can fly over 1100 km (680 miles) at a speed above 210 km/h (130 mph). In other words, taking off from the Washington suburbs and landing in a lagoon in the Gulf of Mexico, going from Madagascar to the Seychelles or taking off from a snow-covered surface in the Swiss Alps, making a stop at a cove in Sardinia and continuing on to Tunis are just some examples among many of the choices offered by the AKOYA. “In addition to its design, which immediately captivated me, the AKOYA is a very pleasant airplane to pilot. The Seafoils are truly revolutionary and offer both fast lift-off and stability. 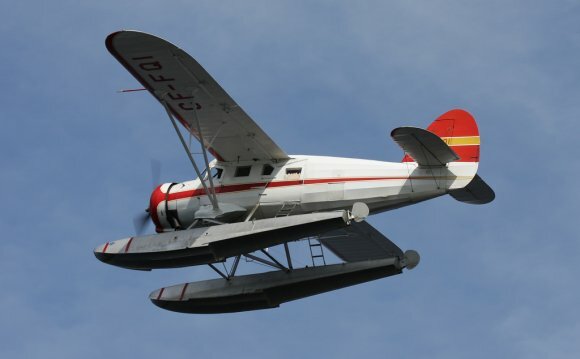 They also considerably simplify landing maneuvers and taking off from water. In spite of its impressive technical capabilities, the AKOYA is a very accessible aircraft that will fully satisfy future purchasers, ” says GÈrald Ducoin, professional EPNER test pilot. Entirely designed in composite materials and powered by a 100 hp Rotax engine, the AKOYA Light Amphibious Ski Plane can take off and land over less than 200 m (650 ft). Private land, airfield, airport, lake, river, sea or snow-covered runway: the possibilities are such that users can land as close as possible to their destination, thus considerably reducing overall travel time. 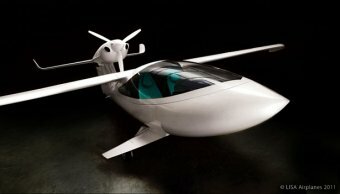 “Offering more than just another new plane on the market, LISA Airplanes brings a further dimension to light aviation by developing the concept of recreational flying, where going from Point A to Point B becomes both simpler and faster, making it a real pleasure once again” explains Erick Herzberger, President and co-founder of LISA Airplanes.